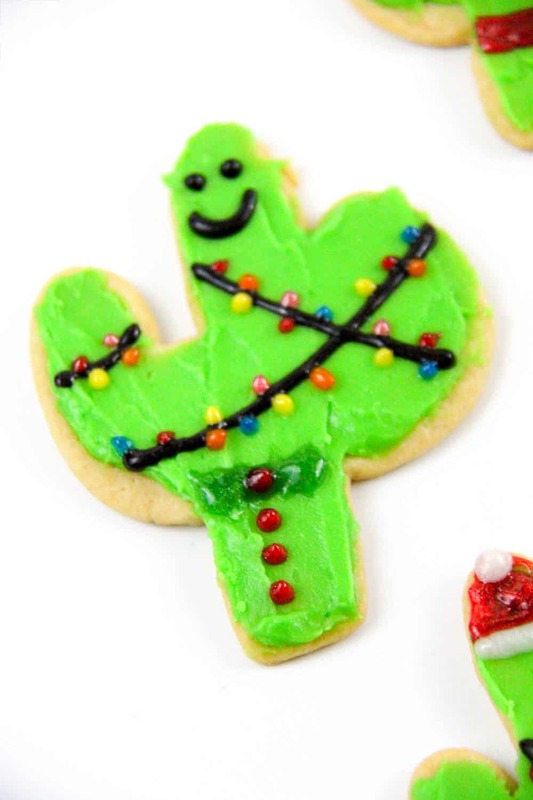 Who said that Christmas tress have to be made of pine? 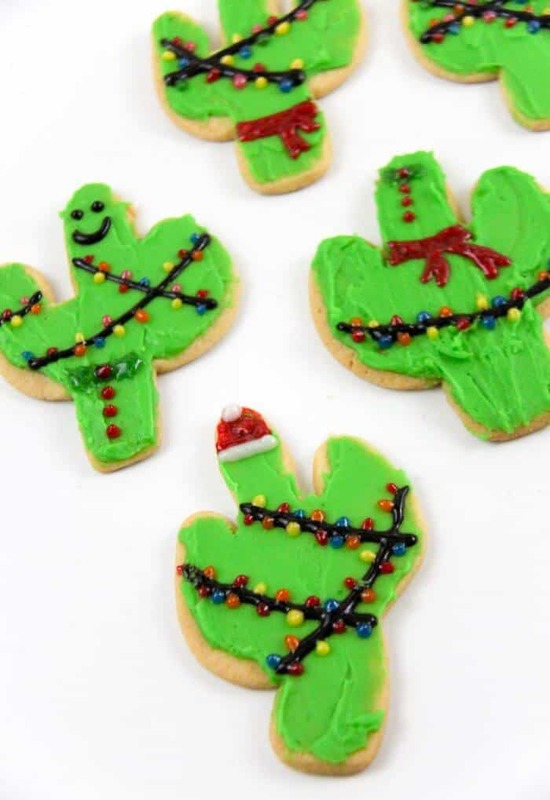 Not our prickly friends. 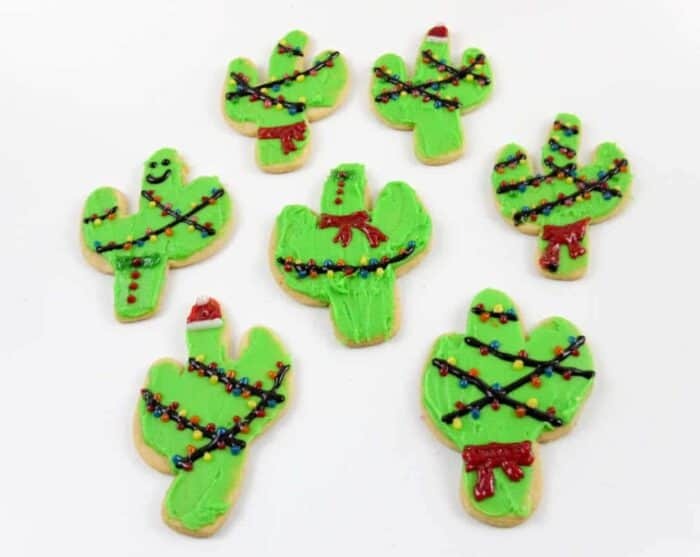 Today we’re sharing our fun and festive Christmas Cactus Cookies. 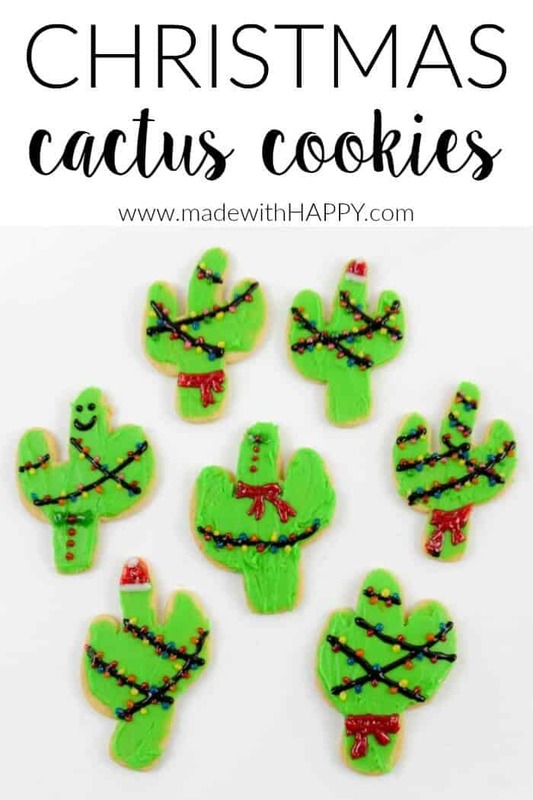 I bought this cactus cookie cutter what seems like years ago and now seems like the perfect time to show you how you can turn this year’s cookie exchange into the cutest ever. 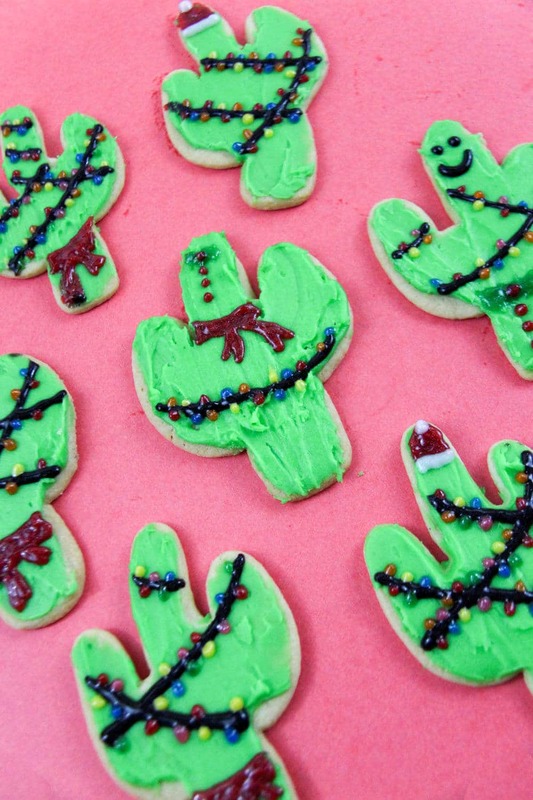 Start out with your favorite sugar cookie, and your cactus cookie cutter. 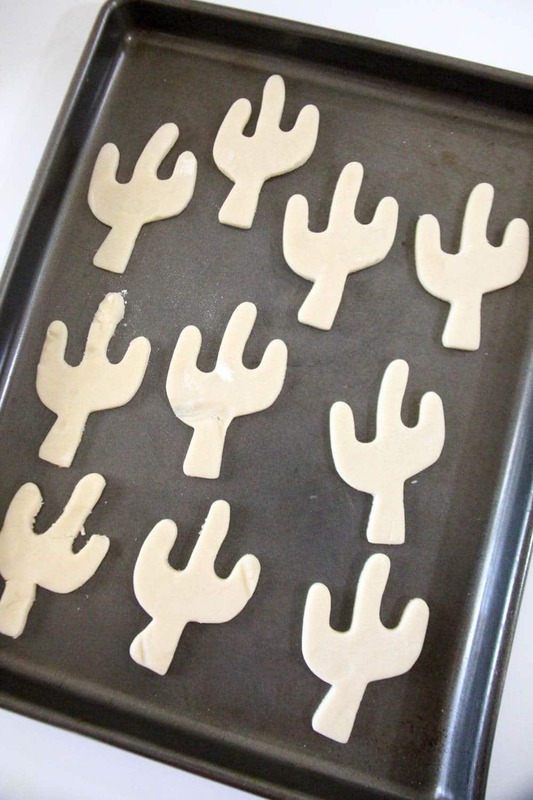 Into the oven and let cook the proper time. 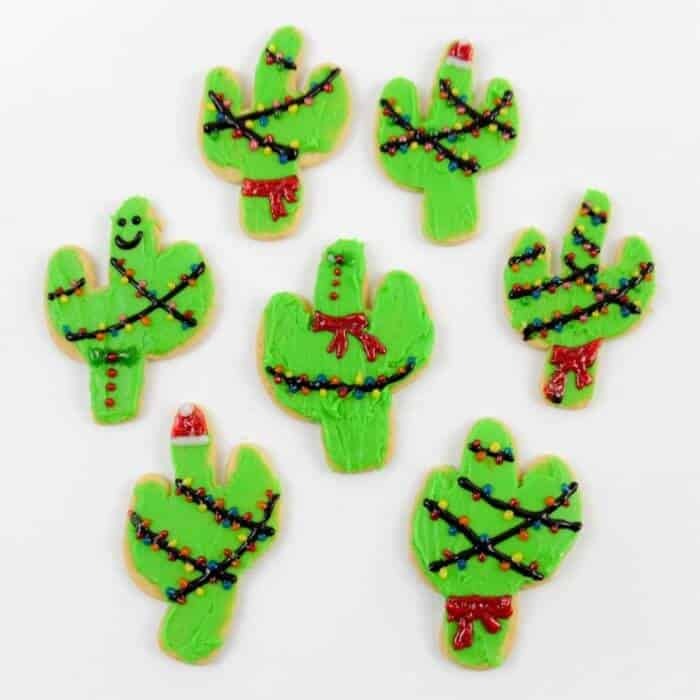 I did buy the following colors of gel for cookies: black, red, orange, yellow, white and blue. 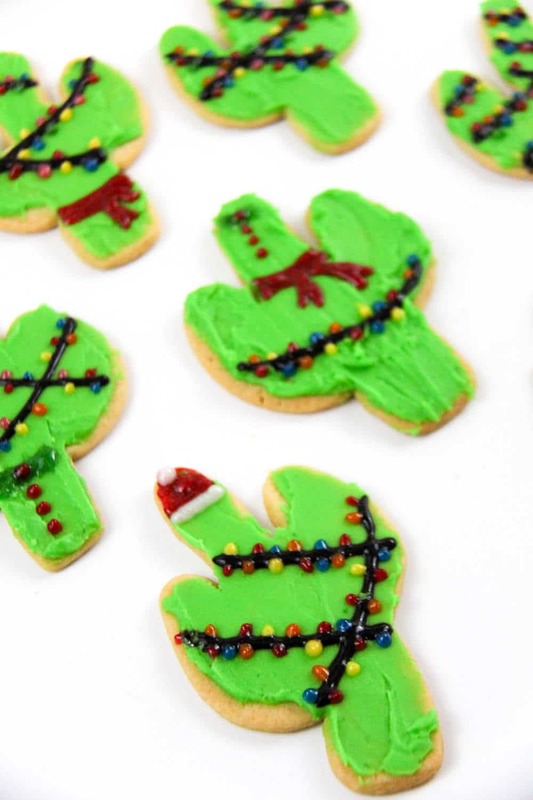 Once your cookies are cooled, spread the green frosting on the cookies. 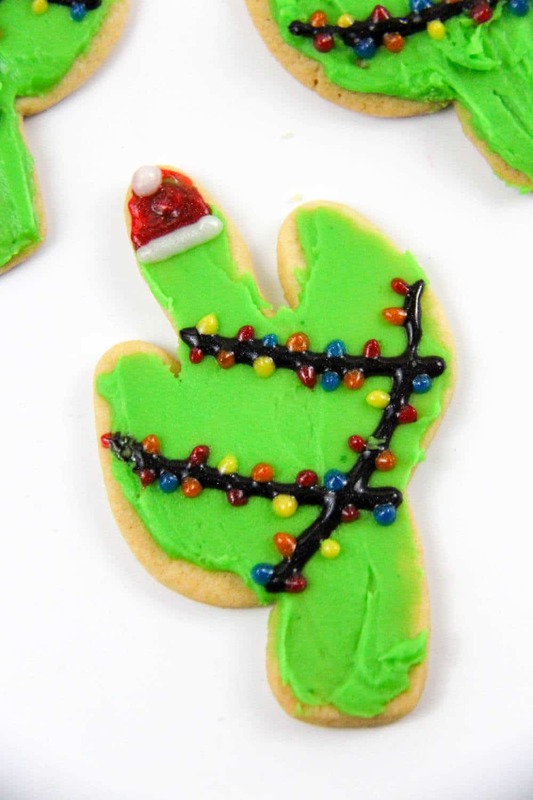 Then start decorating with lights, and scarves and hats. You can even add a smiley face if you want. this side of the Mojave desert!